Country Mouse Tales: Quit Yer Rutschin! fer?" and translates to "what can I do for you?" That's not even the tip of the iceberg my friends. Not even the tiniest little ice cube of the iceberg. Not even the smallest ice chip of the ice cube of the ice b-- I digress. Where was I? Oh yes. 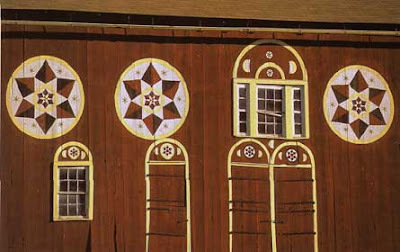 Pennsylvania Dutch. My family does not (for the most part) use the local vernacular. Mainly because my family is not really local. Both of my parents grew up out of state, my father in Wisconsin, my mother in Florida. (They moved to the farm in PA when I was less than a year old) My grandparents on my mothers side are from the area, but neither really used much PA Dutch. Some members of my family do use some Pennsylvania Dutch. For instance, one night at dinner my brother-in-law Brandon told Matt to stop rutschin' so we could hurry up and pray and eat. Matt stared blankly at him. "Stop doing what?" "Honey, it means wiggling. Brandon wants you to stop wiggling so we can pray and eat." I whispered. He stared blankly at me. Enough with the blank stares already!! Later that night I gave him his very first PA Dutch lesson. Emily told us later that Brandon once asked her "what fer shirt should I wear?" She had him repeat it four times, then use sign language. Eventually she figured out he was asking which shirt to wear, not which FUR shirt he should wear. Outen the lights. - Turn off the lights. Make wet? - Is it going to rain? There's food back yet! - There is more food stored away. Its not unusual for someone to end a questions with 'ain't?' 'not?' or 'yah.' In the interest of honest blogging I will come clean and say that SOMETIMES I catch myself ending questions with 'yah?' I don't know...it just blurts out before I can stop it. I don't say ain't though...just for the record. Gosh - I'm like SO above that! Also, I leave out 'to be' from statements. I didn't realize this until I met Matt's family and they teased me for being a redneck (not really, but they did point it out). For instance I say 'needs fixed' or 'needs done' I know I know, that's so wrong. I know! Gosh people! 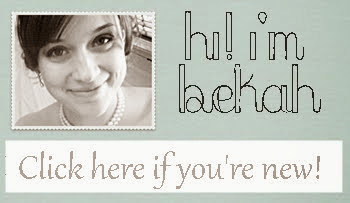 "Hi my name is Rebekah and I sometimes use Pennsylvania Dutch." -- I feel so much better now that I have come clean about that! Phew it's like a weight has been lifted! For more terms and maybe a real explanation of PA Dutch you can check it out here. There is map on that page of where they think PA Dutch is spoken...I don't live in that area...apparently we don't even warrant a mention. HMPH! Here is what the Amish speak (I know you were wondering, they are interesting, and yes, I live near them). Here is information about Hex signs, these are all over barns in this area. Not as common as they used to be, but still really cool. There aren't any pictures in that article, so next time I am driving around I'll stop and take a picture for you, okay? Okay sounds good to me too! Until then here is a general idea of what they look like. Sometime I'll explain more about the food here...but really...make sure you read that one an empty stomach! 'Cause whoa nelly it is some weird stuff. Head cheese folks, head cheese. But the PA Dutch have also given us Chicken Pot Pie, and for that I will be eternally grateful(I will put a recipe for this up sometime...really, it's amazing - that is coming from a girl who refuses to eat bacon because it's gross). Don't forget about 'clothes worsher'. hee hee. We have Amish neighbors and the Amish used to baby-sit me when I was younger. haha very true. Also, wooter for water...there is really just so much that is wrong there. we somehow had amish kids that rode our bus (?) to their school. You would think that would be a no-no but it wasnt. you actually were babysat by them? girl i bet you have STORIES! SPILL! OH and your tea pot and my mug :) is your Polish pottery?? My Mom collects the stuff. I like it too. I have 2 mugs and matching creamer & Sugar bowl. My daughter has like a kids set it's cute. Do you collect it??? ha...you's guys is the worst! i cringe everytime i hear it said. So exactly where do you live!? I go to school in Kutztown and there are tons of amish people there. I hear this all the time and I just stare at them lol I guess I should be use to it after 4 years but nope! Very interesting. Being a native Texan, I have some distinctive speaking features! I married a man from Washington State. The in-laws just love my draaawl. Their favorite is when I say "I'm fixin'" to do something. I never thought I had much of an accent until a girl from North Carolina told me I sounded like Reba! Your dad grew up in Wisconsin?!?!?! I'm from Wisconsin! My grandma lives in Amish country in the middle part of our state and it's very interesting to hear them talk/interact with one another. Wow...having been raised in Tennessee and now living in Georgia...I've heard a lot of crazy vocabulary...but yours takes the cake! Sometimes I feel like I walked out of a Jeff Foxworthy book when I get together with family. ha! People here in southern Illinois say "worsh" too--it is the ultimate hillbilly word here, I think. We have a lot of Amish in this area as well, and a few families that help us out at hay time etc--I love the things they say. Like "forenoon" for morning. Eh? I finally figured it out though. When they do not want us to understand them, we sure do not! I have learned a lot from them over the years, it is so interesting to hear the different ways we live. I always spelled it "rooching" around. But I totally knew what you were saying. What about "bursh" for bush. My grandma says that one. And orl for oil. Ah, Pennsylvania I love you. I just discovered your blog and read this post.... my family has always called little kids, "schnicklefritz" and I never had any idea it was PA Dutch for troublemaker! I call my son that all the time now, it's a very fitting nickname for a kid whose other nickname is Turbo!